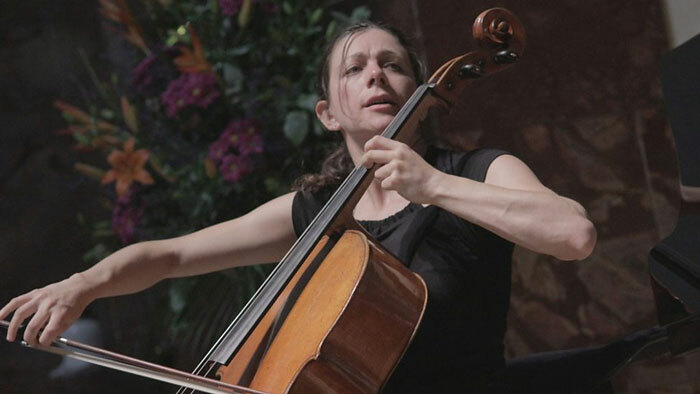 The Purbeck Musical Festival is a classical music festival founded by Natalie Clein and her fellow musicians in 2009. Originally a solo performance by Natalie, the festival has grown considerably over the years and now features over 12 musicians performing at several different venues. If you’re a big fan of classical music and the works of composers such as Mozart and Bach, then this festival is definitely for you. Not only do you get to hear live music from world renowned musicians, but you also get to enjoy the performances in breathtaking venues. The festival takes place at several venues around Dorset ranging from the Parish Church of Saint Nicholas to the Fine Foundation Gallery. In total, there are an impressive 7 venues over the course of 4 days. The opening concert takes place on Thursday 31st August at 7:30pm in the Victorian Gallery where Natalie Clein and her fellow musicians will be playing pieces from Mozart and Grainger. The following concert on 1st September will take place at Lytchett Minster Parish Church from 12pm and will feature various performances as well as educational lectures. To find out more information on where the concerts will be taking place, head on over to their official website where you can find all the times and locations of the concerts. This year’s lineup features an impressive 13 musicians that specialise in a range of instruments to violin, piano and cello. The most notable musician is Natalie Clein, the founder of the festival who has been performing since it first started in 2009. Known for her wide variety of expressive styles, Natalie has regularly performed at major venues around the world with prestigious orchestras. Also in the lineup of musicians is Canadian born violinist, Lara St. John. Described as a “high-powered soloist” by the New York Times, Lara has performed with several orchestras including the Hong Kong Symphony, Amsterdam Symphony and the Royal Philharmonic Orchestra. As you can see, these aren’t just any musicians, these are world class artists that have been hand-picked for their incredible talent. With the chance to see them all perform live in the finest venues around Purbeck, this is something you certainly don’t want to miss. To see the complete list of artists performing at the 2017 Purbeck International Chamber Music Festival, head on over to their lineup page to view the individual artist’s profiles. Tickets for the music festival can be bought on a per concert basis, but there is also the option to buy a complete a complete festival pass. Depending on the type of concert, prices start from £5 for adults but can go up to £25. There are also student tickets available from £2 per concert if you have a valid student ID. To save you considerable amounts of money, the festival offers a complete festival pass for £124. This gives ticket holders access to all 8 concerts including 2 education lectures and the children’s concert. In addition to this, all festival pass ticket holders will also get a free glass of wine included to quench their thirst. What else could you ask for while listening to some relaxing music? To book your festival tickets or pass, be sure to visit the official booking website where you can reserve your tickets. Not from the Purbeck area? Don’t worry, neither are a lot of the festival attendees. Luckily there is plenty of nearby accommodation you can stay at during the festival. Here at the Springfield Country Hotel we offer a range of accommodation from our standard rooms all the way to our executive rooms. If you’re looking for a place to stay during the Purbeck International Chamber Music Festival, then there’s no better place than the Springfield. Not only are we located a short drive away from the concert venues, but we also have plenty of on-site facilities including a spa and pool! To book your stay for the Purbeck Music Festival, visit our homepage to see our available rooms.